With Hurricane Florence bearing down, a reporter for a local ABC station interrupted her Facebook Live broadcast to help rescue a dog caught in the storm’s flood waters. 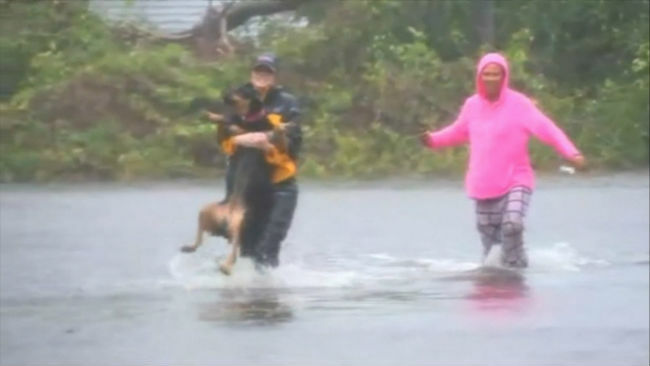 WTVD’s Julie Wilson was in the middle of streaming live in New Bern, North Carolina, when she saw a woman struggling to save a dog, a Rottweiler, from the deep water. The dog had been injured. Wilson was amid assessing storm damage when she noticed the woman having difficulty steering the dog through the deep water. Wilson asked the woman if she could pick up the dog. The dog, it turned out, was the woman’s child’s therapy dog. For an efficient writer may have a few weeks to even few conditions.